Hello everyone, My name is Millicent Moonbeam Fuzzybutt, Yes that is my real name. You can call me Millie for short. 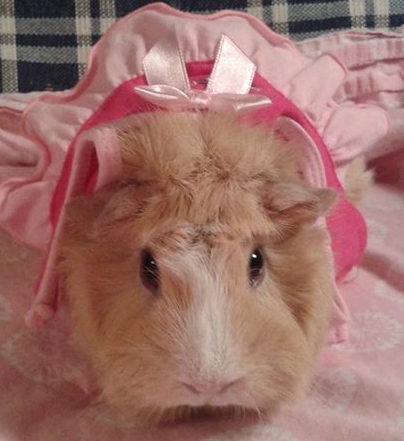 I am a very cute Abyssinian Guinea pig and I am Very fuzzy. My birthday is October 31, 2015. My mommy Theresa gave my the coolest birthday ever. I share the same birthday with one of her favorite Major League Baseball Player's. 1st Baseman for the Cleveland Inidans Mike Napoli. I currently live alone but as Suzie stated on her profile page, we hope to be bonded and live together in the same house or cage as you humans would call it. We also live with other Guinea pig named Iris and a Hamster named Potato.